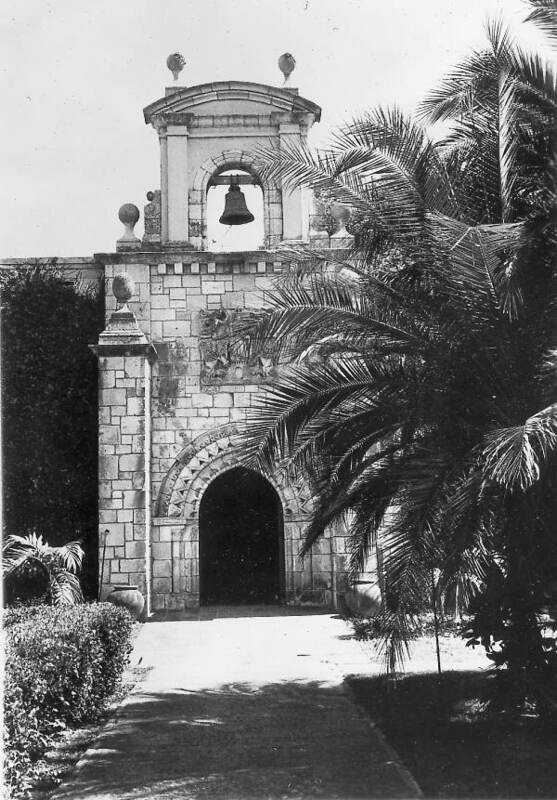 Time Magazine called it “the biggest jigsaw puzzle in history.” Saint Bernard de Clairvaux church, now known as the Ancient Spanish Monastery, is the oldest building in the western hemisphere. It was originally built in 1133 AD in Sacramenia, near Segovia in northern Spain and Completed eight years later in 1141. This church was built in the traditional style of Cistercian Romanesque architecture and served as a peaceful house of worship for 700 years, until the 1830’s, when Spain underwent a social revolution. The monastery was captured, then converted into a granary to help feed troops battling during revolution. After the revolution, the church was abandoned until 1925. In 1925, William Randolph Hearst purchased the monastery’s Cloisters to embellish his California estate “San Simeon.” He had the religious structure completely disassembled, numbered, carefully packaged in 11,000 hay filled crates, and transported to America. At the time, an outbreak of hoof-and-mouth disease was spreading through Segovia. The United States Department of Agriculture, fearing contamination, quarantined the large cargo upon its arrival. The protective hay was burned. Unfortunately, the stones belonging to the cloister were not placed in the correct crates, ultimately making the assembly of the church difficult. Soon after the crates arrived, Hearst suffered financial difficulties and was forced to sell the Monastery of St. Bernard de Clairvaux at auction. The enormous crates were stored at a warehouse in Brooklyn, New York, for 26 years. Then, in 1952, one year after Hearst’s death, the crates were purchased by two entrepreneurs from Ohio named Raymond Moss and William Edgemon. The two men, who were interested in building a tourist attraction, brought the cases to a small plant nursery in North Miami. It took a stonemason named Allan Carswell 19 months to reassemble the church. Rebuilding the monastery proved to be a costly endeavor, as Moss and Edgemon suffered financial hardships and were forced to sell the monastery. In 1964, multimillionaire banker Colonel Robert Pentland, Jr, purchased the Cloisters and presented them to the Bishop of Florida. Currently, the Church of St. Bernard de Clairvaux still serves as an active congregation, tourist attraction, and is also a popular wedding venue. This entry was posted on Wednesday, October 8th, 2014 at 6:11 pm and is filed under Miami, North Miami, Photo Galleries, The Ancient Spanish Monastery, Uncategorized, Videos. You can follow any responses to this entry through the RSS 2.0 feed. Both comments and pings are currently closed.